Summer festival season is in full swing and whether you’re heading to an event locally, such as V Festival at Hylands Park in Chelmsford on 20th and 21st August, or further afield, such as Creamfields in Cheshire (25th – 28th August) or Bestival on the Isle of Wight (8th – 11th September), it’s easy to forget those last minute festival essentials in all the excitement. 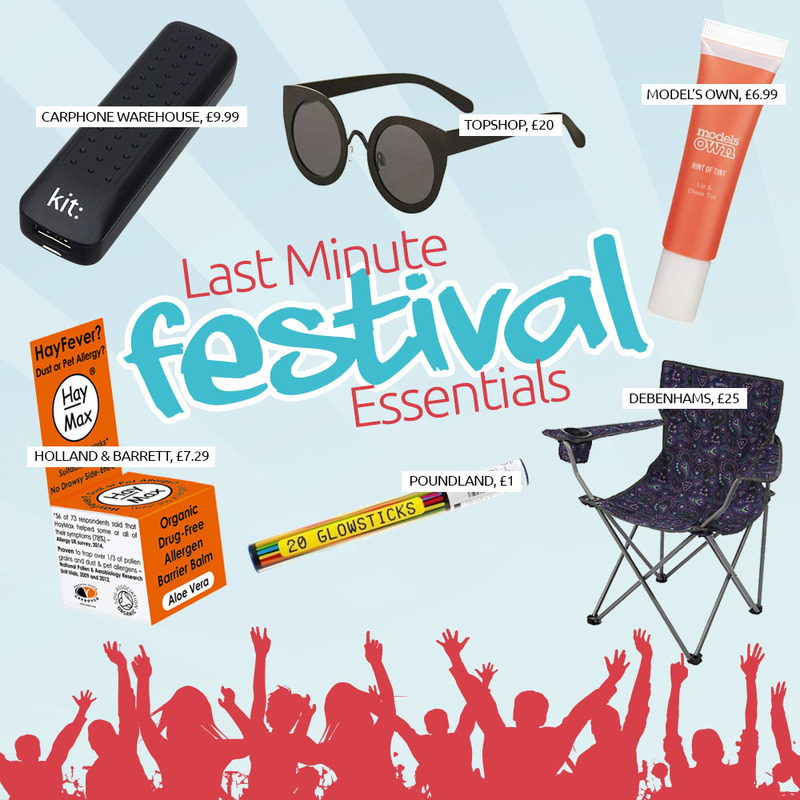 You may have your tickets, tents, wellies and a fabulous capsule wardrobe ready to go, but make sure you refer to The Liberty’s definitive ‘last minute must-haves’ checklist before you hit the road! Never miss a band because you’re stuck at the charging tent, juice up your mobile, tablet or any device that uses a USB with this nifty portable gadget. Don’t let the symptoms of hayfever cramp your festival style by packing this natural, drug-free solution. Keep those locks looking luscious even without access to a shower, with this tropical fragrance dry shampoo – a true festival essential. Keep your beauty products compact with this handy lip and cheek tint, available in six berry inspired shades to suit all skin tones. Tired eyes to hide or fed up of squinting in the sunlight? A pair of glamorous cat eye sunglasses – like this pair from Topshop – are an on-trend solution. Give those dancing feet a well-deserved rest – make sure you pack a comfortable and practical camping chair, like this pink paisley Regatta number from Debenhams.